Home » Service Manual Catalog » EPSON Adjustment Programs » InkJet printers » AP_SCP5000 I have paid for Reset Key but not received yet. Epson SureColor SC-P5000 Service Program New! To use this Epson SureColor SC-P5000 Service Adjustment Program the best way you have to read Epson SureColor SC-P5000 Service Manual first. 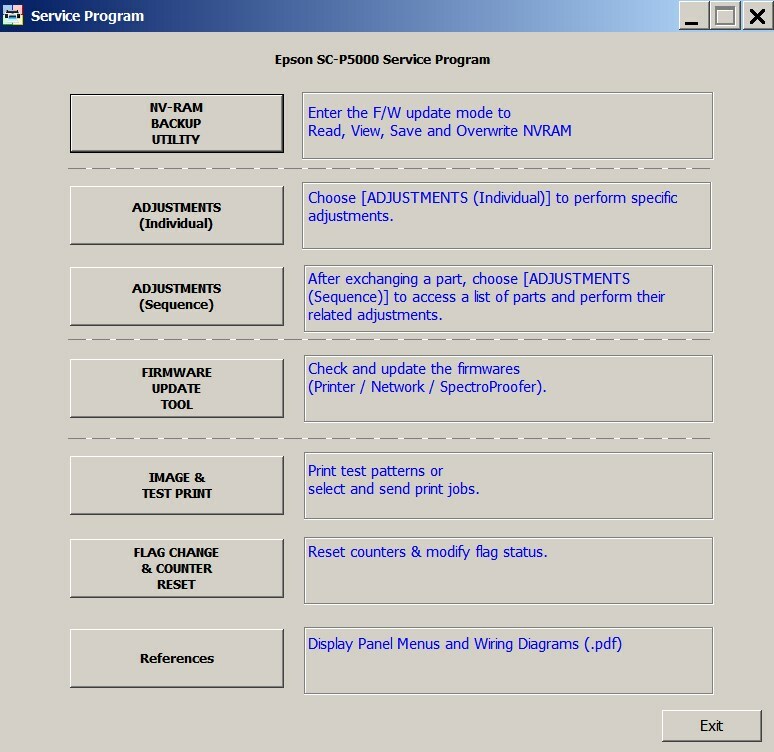 Notify me of updates to Epson SureColor SC-P5000 Service Program New!